Egyptian authorities have facilitated the return home of 120 Egyptian students who were stranded at the Egyptian-Sudanese border when Sudan closed its borders on Thursday. 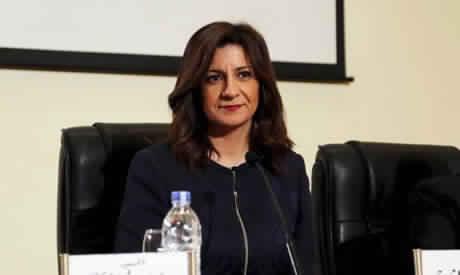 The students were stranded at the Arqin border crossing, according to Egypt's Minister of Immigration and Egyptian Expatriate Affairs Nabila Makram. A number of parents contacted Makram, who contacted the Egyptian embassy in Sudan to take the necessary measures, she said on Saturday. Makram thanked the embassy, under the leadership of Ambassador Hossam Issa, for its “great efforts” and its contacts with the Sudanese ministries of foreign affairs, defence and interior ministries, which issued instructions to open the Arqin crossing. The minister also praised the authorities at Arqin for their cooperation with the Egyptian authorities. On Thursday President Omar Al-Bashir, who had ruled Sudan for 30 years, was overthrown by the armed forces after months of protests against him. The Sudanese military then announced a curfew, and closed maritime and land borders and the country’s airspace. Flights between Cairo and Khartoum resumed on Saturday.